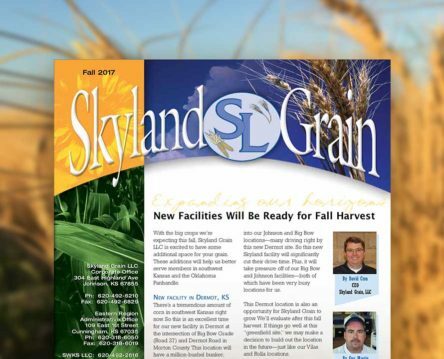 Skyland Grain publishes a quarterly newsletter. The newsletter is available in a paper format or an electronic format. Sign up to receive the paper or electronic format. What format would you like you to receive? The Skyland Grain app is a mobile app, powered by Bushel, that provides real-time harvest information to better serve growers.